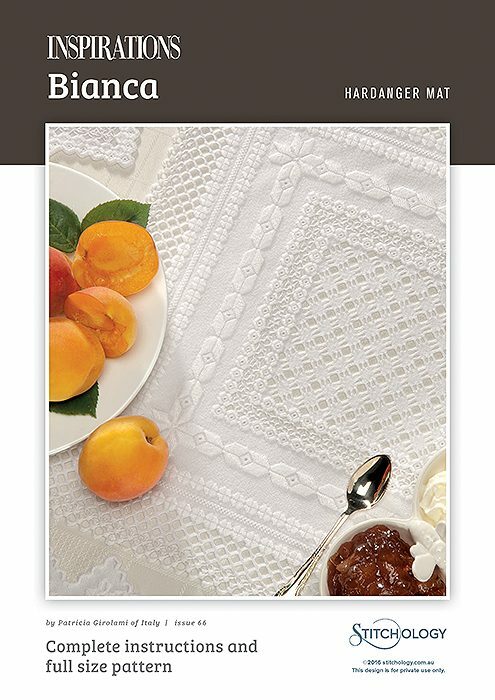 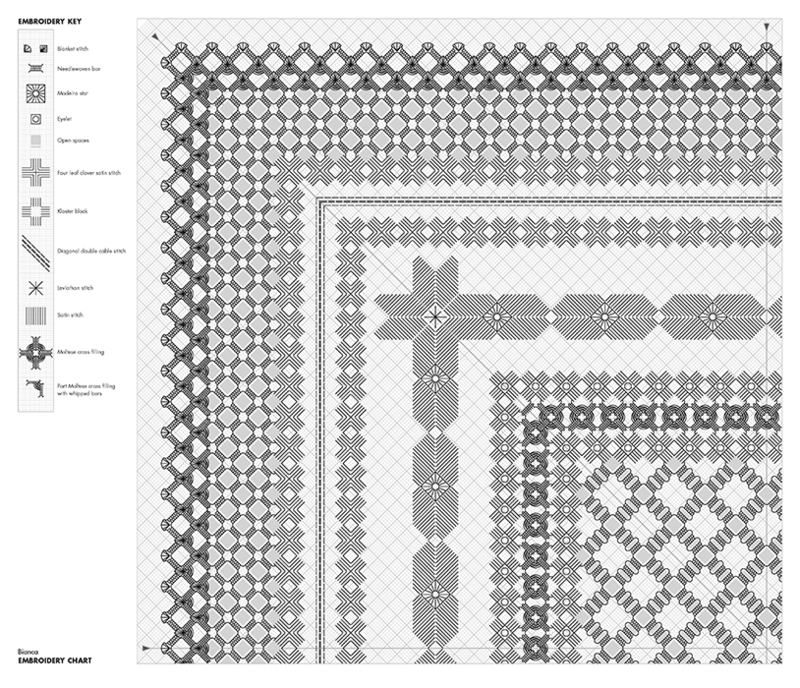 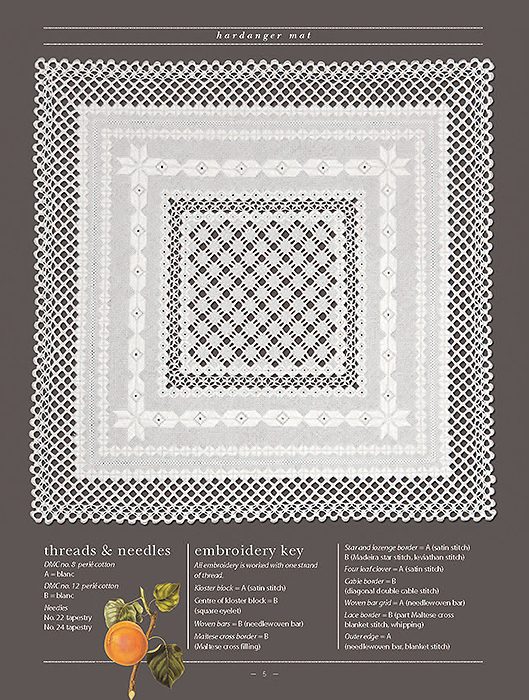 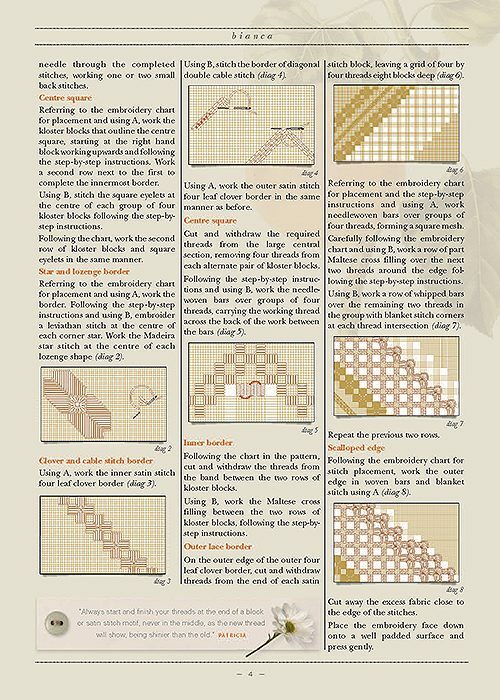 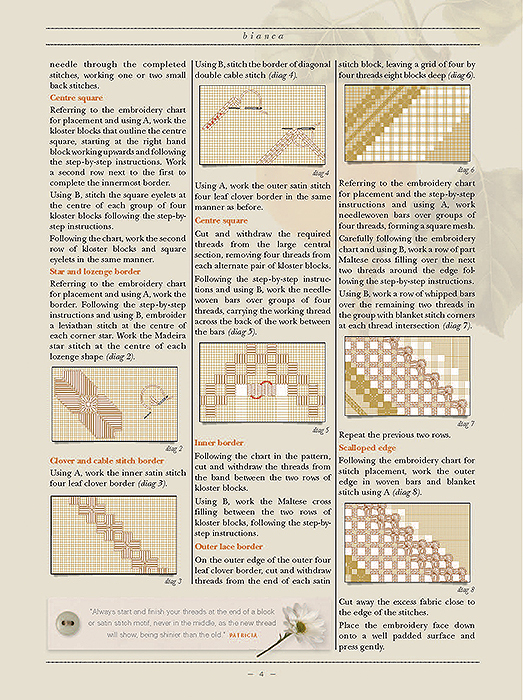 Perfect stitches and precise cutting combine to create this elegant Hardanger mat. 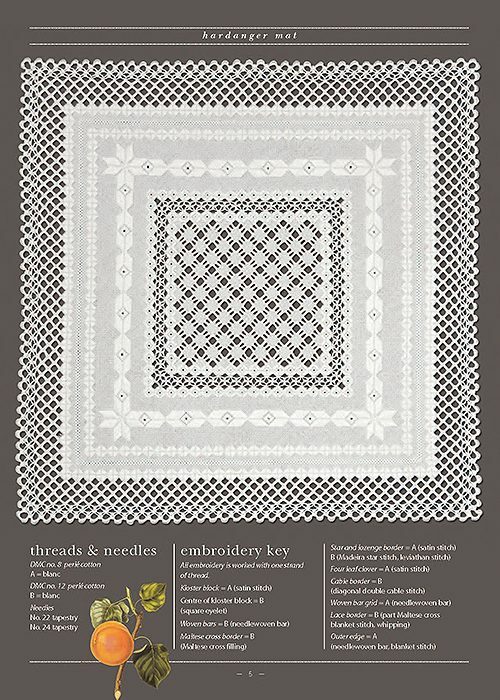 Worked onto pure white even-weave cotton fabric with two weights of lustrous perlé thread, the stylish design features extensive use of needle weaving and satin stitch. 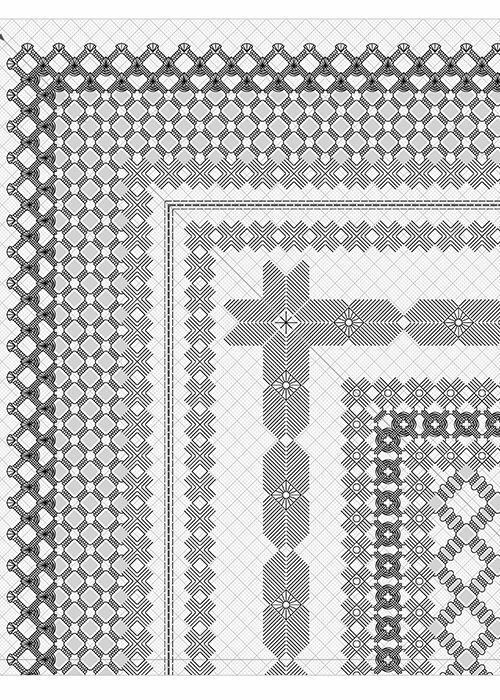 An intricate Maltese cross design surrounds the central motif and a delicate lacy edging borders the square.